Younger users help increase the use of mobile banking apps, with security and speed named as top factors, Visa study finds. 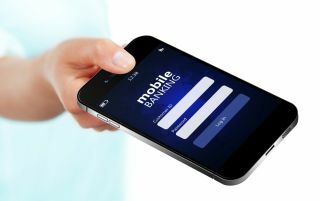 An increasing amount of British consumers now prefer to use their smartphones or other mobile devices to look after their banking, with physical branches already showing fast decline, according to new research. The change has been accelerated by younger users, with nearly 7 out of 10 18-34 year-olds (69 per cent) preferring to use a mobile device to look after their banking, according to the launch Visa Digital Payments study. The report, which surveyed more than 2,000 UK consumers as part of a 42,000 Europe-wide survey, found that more than half (53 per cent) of this age group regularly uses such an app to monitor their spending, compared to the national average of 58 per cent. The ability to make quick and secure P2P payments was identified as one of the major perks of mobile banking, with over a third (34 per cent) of respondents having made such a transaction using their mobile device - a figure which rises to almost three fifths (59 per cent) of younger users. Biometric security was named as another major improvement, with 37 per cent of younger users saying they would like to use this technology in conjunction with a banking app, with 35 per cent of 18-34 year-olds saying they would use this technology to make P2P payments (compared with a national average of 30 per cent). “Mobile technology has revolutionised the retail banking industry. Until relatively recently, simple transactions such as transferring money between accounts meant visiting a bank branch in person. We are now seeing banks embrace the flexibility offered by apps to reduce the pain points for customers and allowing them to stay on top of their finances while on the move. In essence, anyone with a smartphone or tablet is now able to take their bank branch with them wherever they go," said Jonathan Vaux, executive director of innovation partnerships at Visa.